The world of financial professionals can be a complicated string to unwind. Not knowing what type of professional you are looking for, or what you really need help with, or which questions to ask potential advisors can cause even the most level-headed and organized person to become stuck in the process. 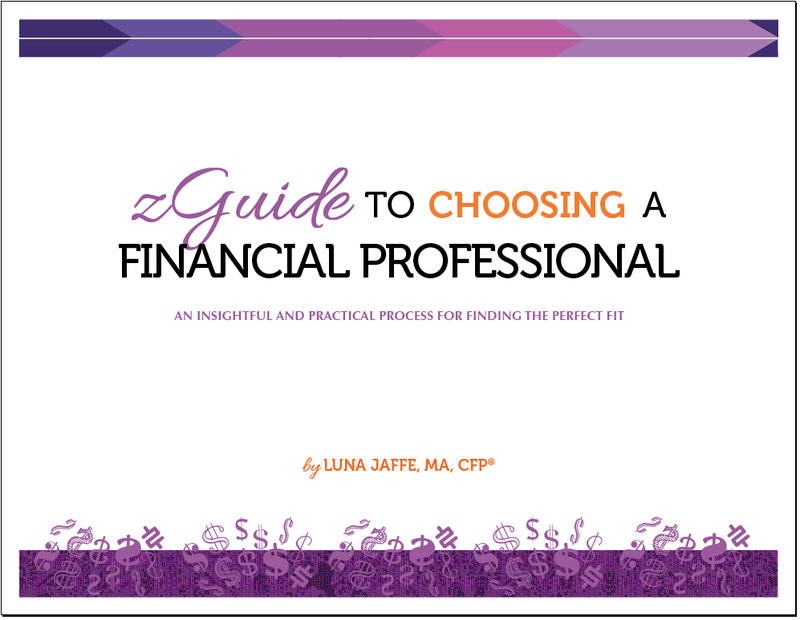 My new ebook zGuide to Choosing a Financial Professional will walk you through an insightful and practical process for finding the perfect fit in your future advisor be they a financial planner, a financial advisory, a financial therapist, or a money coach.